In Part One of my review of Riga’s Mārupīte creek, I documented the course from its sources to Maras Dikis Pond. In Part Two, we follow the creek out of the pond as it flows to its mouth at the Daugava River. In comparing Riga to New York, I consider Bastejkalns as its Central Park, and both cities have a Forest Park. If the neighborhoods of Pardaugava (left bank of Daugava) are Riga’s answer to NYC’s outer boroughs, then Parks Arkadijas Darsz (Arcadian Garden Park) must be Kissena Park. Both parks feature hilly terrain, Victorian landscaping, and a creek flowing through its grounds. The waterway that started my fascination with hidden urban streams is the 2.5-mile Mārupīte on the eastern side of Riga, my birthplace city. This was the stream that I’ve known since birth. The scene above is with my mother at Arcadian Park (Arkādijas Parks) where the Mārupīte flows through an Olmstedian landscape a couple of blocks from my grandparents’ home. Ten miles shy of its entry into the Baltic Sea, the Daugava River passes through the city of Riga. Within the borders of Latvia’s capital city, the nation’s great river give up some of its water to bifurcation streams before uniting again and emptying into the sea. The cradle of industry in Riga is the Sarkandaugava, a branch of the Daugava that flows around Kundziņsala, the largest island within the city’s borders. This hidden Riga stream flows through traces of every period in the city’s history and holds the key to its future, as the gateway to Riga for seaborne goods. Ten miles shy of its entry into the Baltic Sea, the Daugava River passes through the city of Riga. Within the borders of Latvia’s capital city, the nation’s great river give up some of its water to bifurcation streams before uniting again and emptying into the sea. Examples include the Mazā Daugava, Bieķengrāvis, Zunds, Sarkandaugava, and Vecdaugava. One branch of the Daugava however is artificial, a former defensive moat, the Pilsētas Kanāls or City Canal. Riga, Latvia, the city of my birth is an urban explorer’s dream. With more than 800 years of history, it has structures that represent the conquerors who ruled this city: the Teutonic Knights, the Poles, Swedes, Russians, Nazis, Soviets, and the independent Latvian state. Although the borders of the city cover 117 square miles, the urban core is relatively small. Most of the city is comprised of suburbs, tight apartment complexes along the periphery and virgin pine forests. 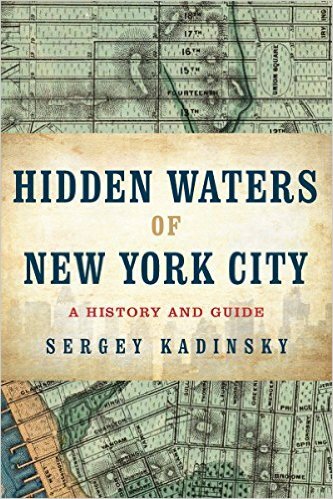 Numerous hidden waterways flow throughout the city, some of which I had explored in my brief childhood in Riga.